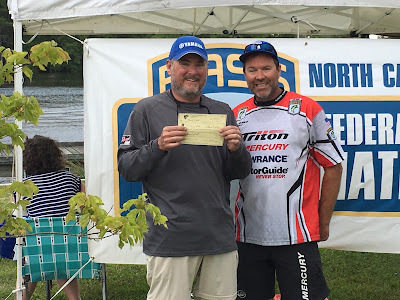 This weekend I fished the East Regional B.A.S.S. Federation Nation qualifier on the Chowan River out of Bayside Marina at Edenton. I ended up in third place with a two day total weight of 29.65 and made the North Carolina State Team. Below is a picture of 4 of 5 fish I weighed in on the last day. My last day bag was 18+ pounds. 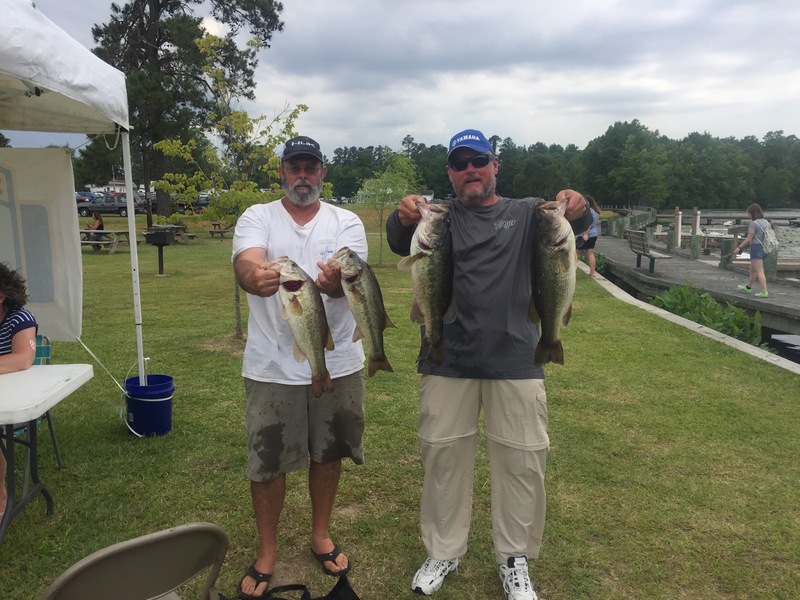 Thanks to my co-angler Brian who is holding up the fish with me.